Glyndebourne has had a long association with the Bard, and here we look back at some of our most memorable Shakespearean moments. Our connection with Shakespeare continues in Festival 2017 with the world premiere of Hamlet, a brand new opera by Brett Dean, which you can find out more about below. 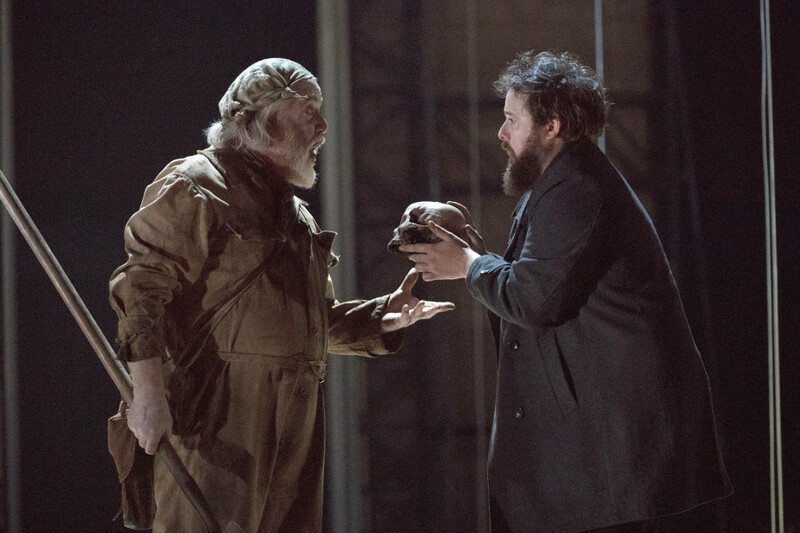 Not only was Verdi’s Macbeth the first Shakespeare-inspired piece performed at Glyndebourne, it was also the first non-Mozart work to appear in the Festival. 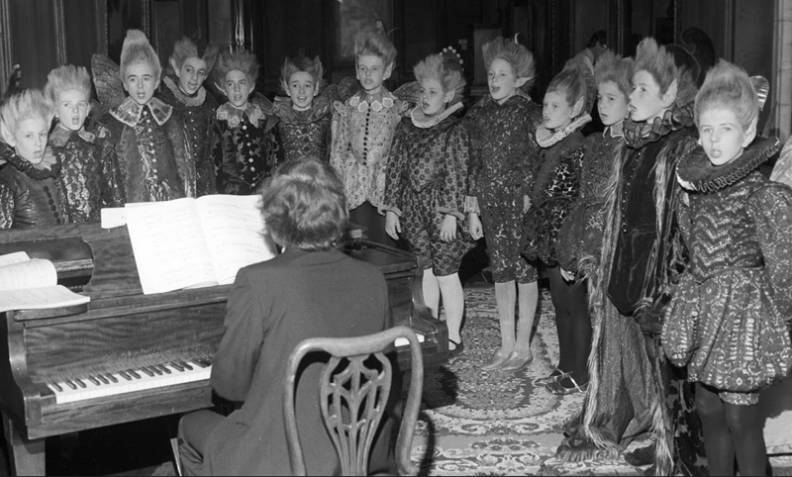 Its 1938 debut marked the first professional production of the opera in the UK, and among the chorus was the young tenor Peter Pears, Benjamin Britten’s partner. 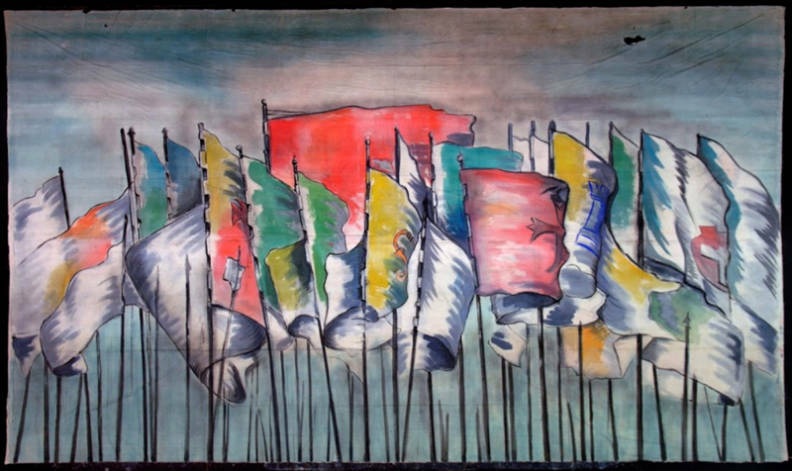 The vibrantly coloured original backdrop from the final act of the 1938 production of Macbeth was rediscovered in a storeroom at Glyndebourne in 2006 and is pictured below. 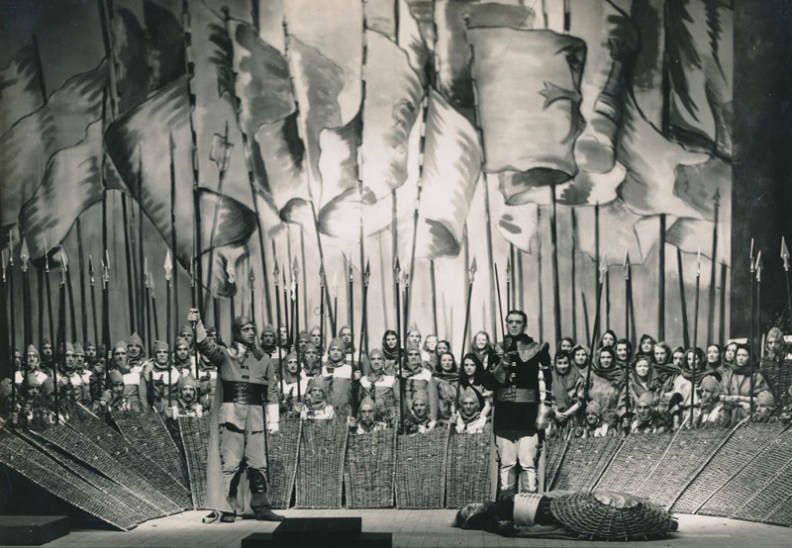 1964 saw a new production of Macbeth, with memorable design by Emanuele Luzzati, to coincide with the 400th anniversary of Shakespeare’s birth. The same year a production of The Taming of the Shrew was also performed at Glyndebourne. 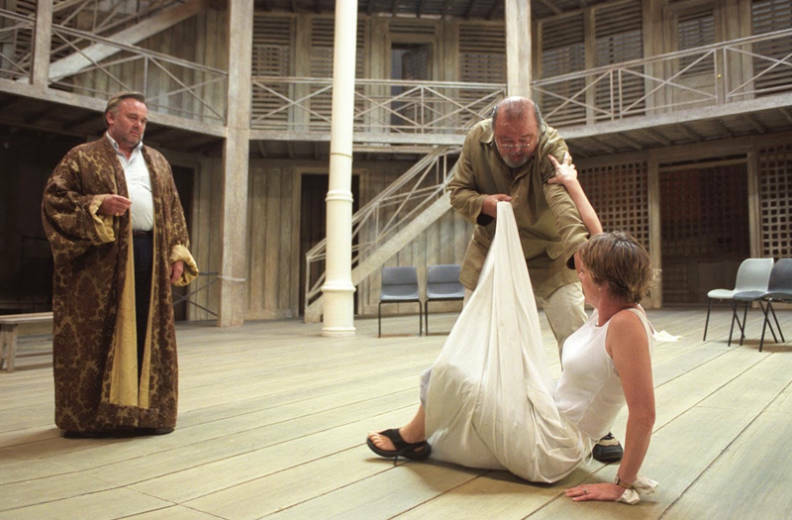 Macbeth was also staged in 2007 in a new production by Richard Jones. Verdi’s witty take on The Merry Wives of Windsor has been the most performed Shakespeare-inspired opera at the Festival, staged 11 times. 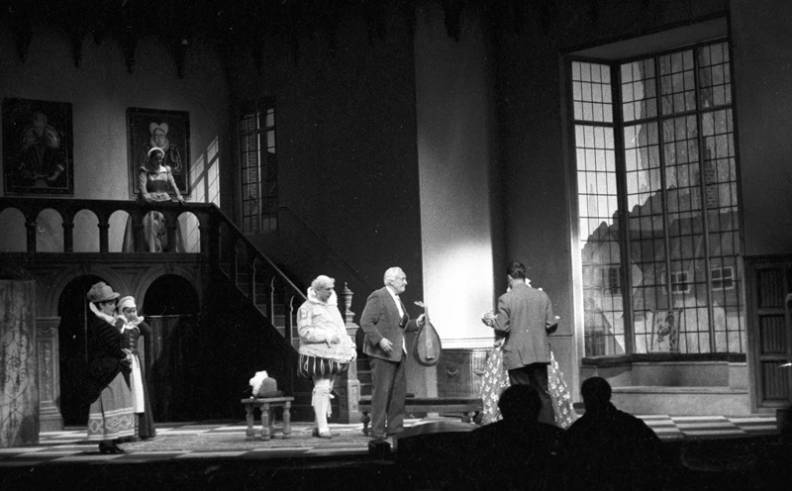 The first production debuted at the Edinburgh International Festival in 1955. 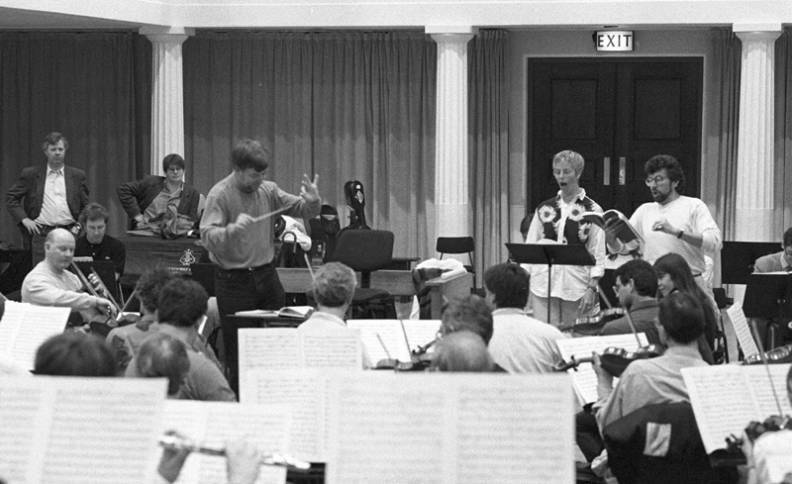 Below you can see an image of Carl Ebert, Glyndebourne’s first Music Director, during rehearsals. Osbert Lancaster’s impressive set took inspiration from the windows in the Glyndebourne Organ Room. 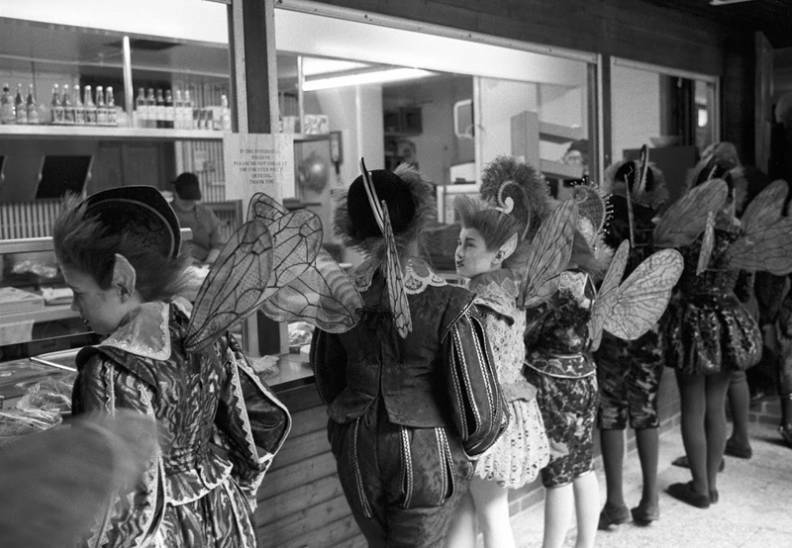 Three further productions of Falstaff have been staged at the Festival, premiering in 1976, 1988 and 2009. The production was revived in 2005. 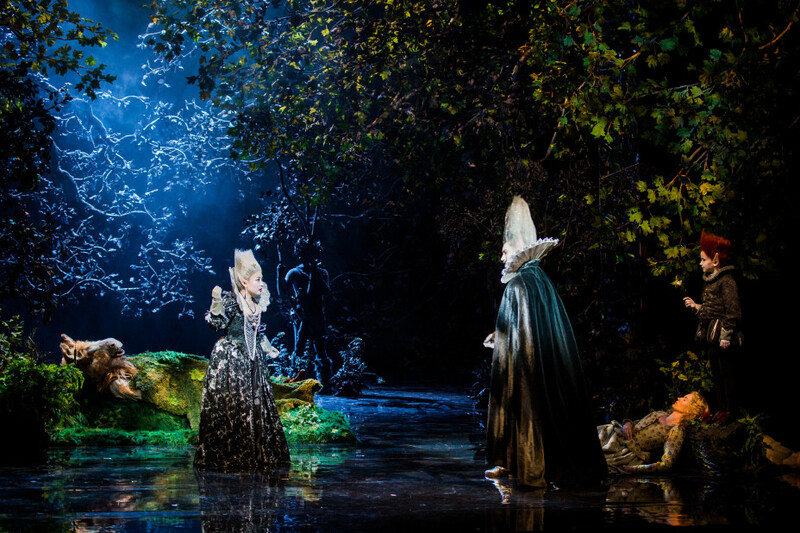 In 2009 Glyndebourne marked the 350th anniversary of Purcell’s birth with a new production of The Fairy Queen, which is based on A Midsummer Night’s Dream. It was directed by Jonathan Kent. William Christie, who conducted The Fairy Queen for its 2009 run, returns to Glyndebourne this summer to conduct the UK premiere of Cavalli’s Hipermestra. 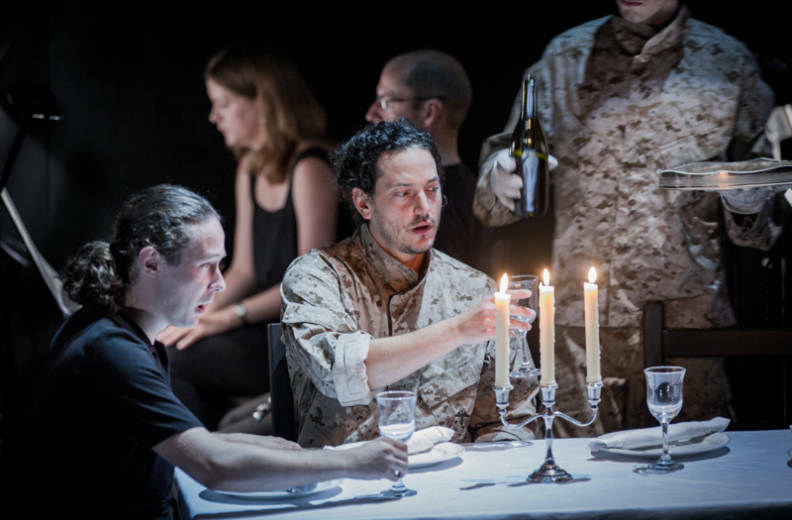 Festival 2015 saw the premiere of Macbeth, a new chamber opera composed by former Young-Composer-in-Residence Luke Styles. The production featured an all-male cast of singers from the Glyndebourne Chorus, presented in the Jerwood Studio. 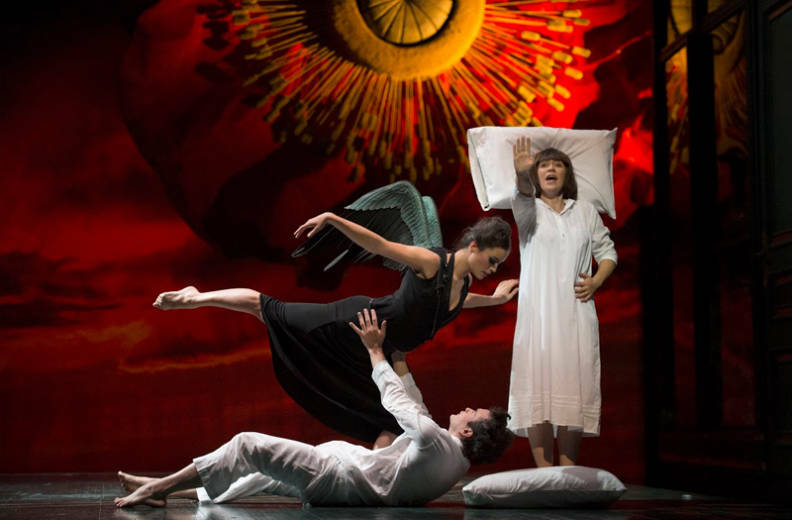 Berlioz’s Béatrice et Bénédict made its first appearance at Glyndebourne in Festival 2016, in a production starring Stéphanie d’Oustrac and Paull Appleby as the sparring lovers. 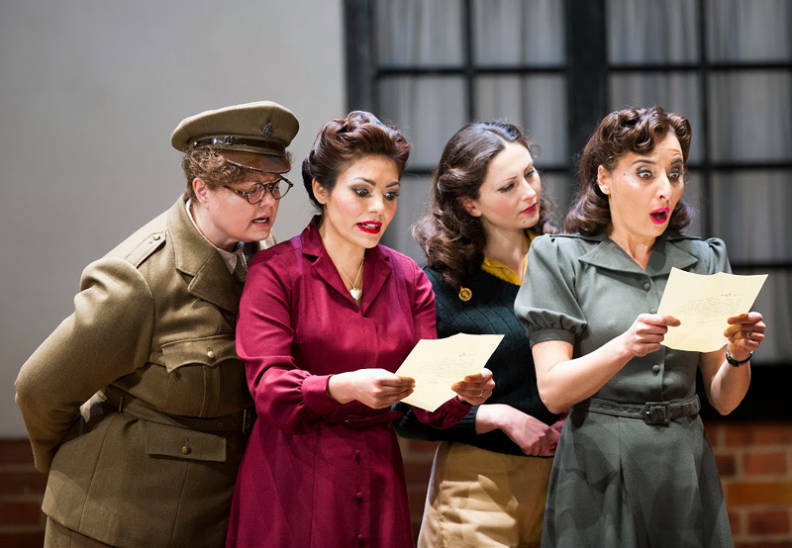 While Festival 2016 may have been the first time Berlioz’s take on Much Ado About Nothing graced our stage, the piece has a history with Glyndebourne. 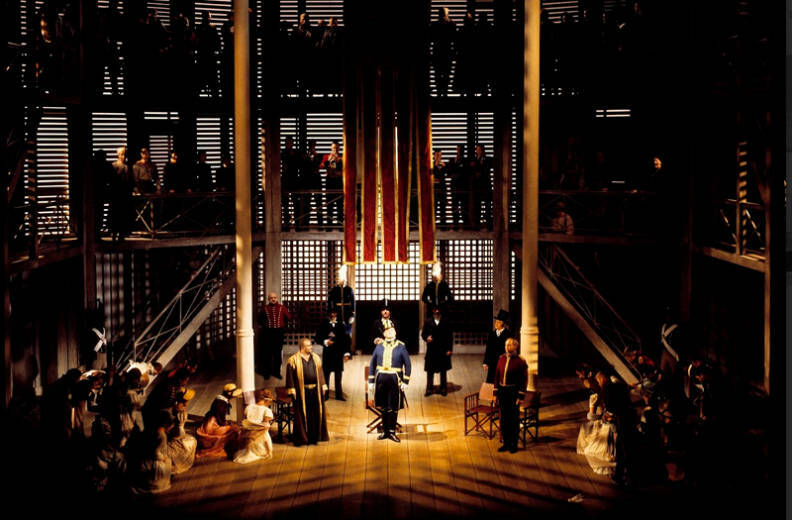 In 1993 Glyndebourne staged a concert version of the opera at the Royal Festival Hall, the year the new opera house was being built. In Festival 2017 Brett Dean’s Hamlet became the latest Shakespeare-inspired opera at Glyndebourne. 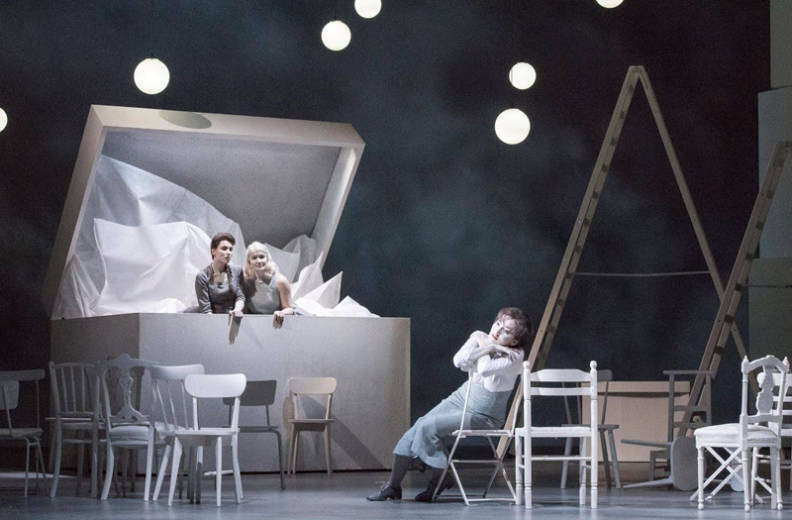 With a libretto by Matthew Jocelyn, the opera was directed by Neil Armfield and conducted by Vladimir Jurowski. The production met with critical acclaim, with The Sunday Times calling it ‘the operatic event of the year’. You can also see Hamlet live in cinemas on Thursday 6 July, and as part of this year’s Tour.